Correct – another year chalked up on the wall and none the taller (still stuck at 6’2.25″). This year an amazing birthday present arrived via the Zapatos, those lovable characters “from Queens” who appear in these stories from time to time. Gift certificate to an LIC wine institution in hand and with Hurricane Irene bearing down on NYC it was the perfect time to stock up on provisions. Scavengers had already picked up every last 24-pack of oversized water bottles in New York City but somehow they had forgotten the more important liquid provision. Thanks to scavenger nearsightedness, Brunello came home with Exacto and me. Yes, THAT Brunello. As in Brunello di Montalcino, Italy’s first DOCG (translated from Italian as: (i) we know it’s from here – DOC – and (ii) it’s “pure awesomeness” – that’s what the G stands for in DOCG). And, Brunello is made from 100% Sangiovese. Even a drop of a lesser grape disqualifies it from elated Brunello status. But wait, there’s more. 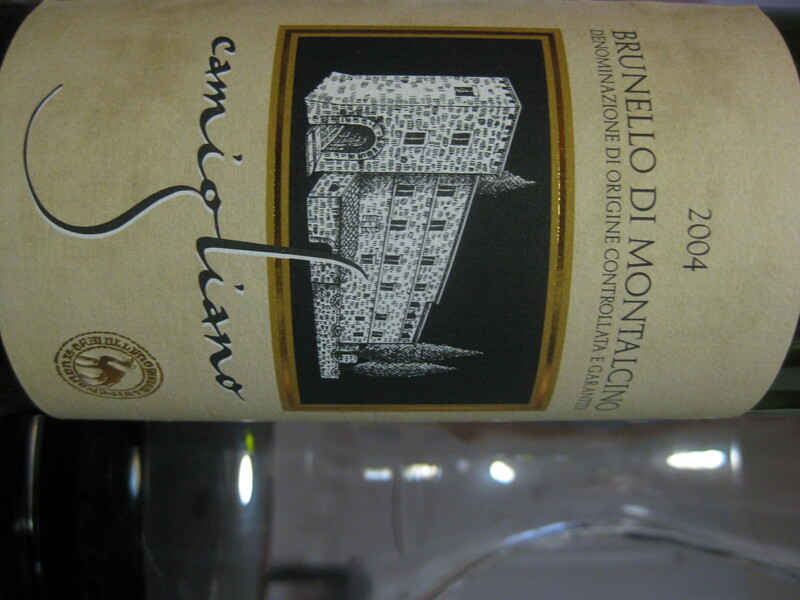 Brunello di Montalcino is from Tuscany, that region of fame for something that no one remembers anymore. Like an Italian Kardashian, Tuscany attracts media attention and revels in the limelight. To be fair, Machiavelli (described by urban dictionary as “Awesome dude who lived in Italy a loong time ago”) is from Tuscany so that’s probably what got everyone in a tizzy at the beginning. Brunello di Montalcino happens to be pure Sangiovese, the grape that is more Italian than Marco Borriello and Sophia Loren (pre-gross phase). No grape is more planted in Italy than Sangiovese. Tuscany might be the heart of this grape (and of mawkish Eat, Pray, Love, Tuscan Sun) but it’s all over Italy like poorly-timed railroads. Sangiovese followed the Italian immigration wave into the new world and Argentina’s Mendoza boasts a pretty sizable amount of acreage devoted to Sangiovese. California too, some in Washington and some in Australia but it’s sorta fallen by the wayside in the New World, with the possible exception of Australia where growers are discussing an uptick in Sangio-interest. Dusty, dark nose, like walking into a cellar. Light body start that fills out to medium – black cherries and deep flavor with blueberries and slight sweetness at the end. Really excellent crescendo. * Brunello has a little lad, its fleece as white as snow. And everywhere that Brunello went, you better believe they serve Rosso di Montalcino (aka “Baby Brunello”). 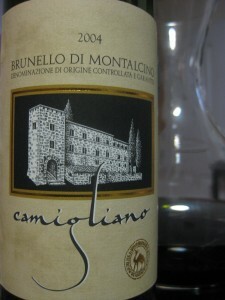 Baby Brunello is a DOC (notice no G – so potentially awesome, but not G-uaranteed awesome). * Fierce debate rages over how many DOCGs there are, despite the fact that the Italian government could easily answer the question. 47 seems as good a number as any with Piedmont (12), Tuscany (8) and Veneto (6) leading the pack. * Brunellogate shocked the wine world (pop. 2,000?) 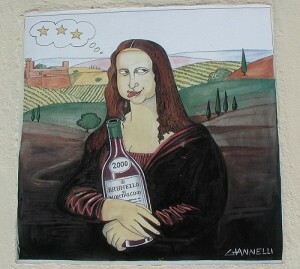 in 2008 with stories of OTHER grapes showing up in Brunello. Even the US government acted – a rare feat.